What is the insurance that your new bike is not being damaged by your racks worth to you? Do you think about how to store your bikes in your garage, and then you have the damn rack to deal with? We have spent the past two years in research, design, and development. Running simulation, testing real life scenarios. Our racks have years of engineering know how, and military design process built in to them. We have conducted dynamic load analysis, finite element analysis to ensure maximum safety and reliability and we are a fully insured company. Of course, made in Utah and proud of it. Fail safe features are also built in to the rack, something other racks do not provide. Off road capable, and no your warranty won’t be voided if you go on dirt roads. That is just ridiculous, how some of these companies set their rules. 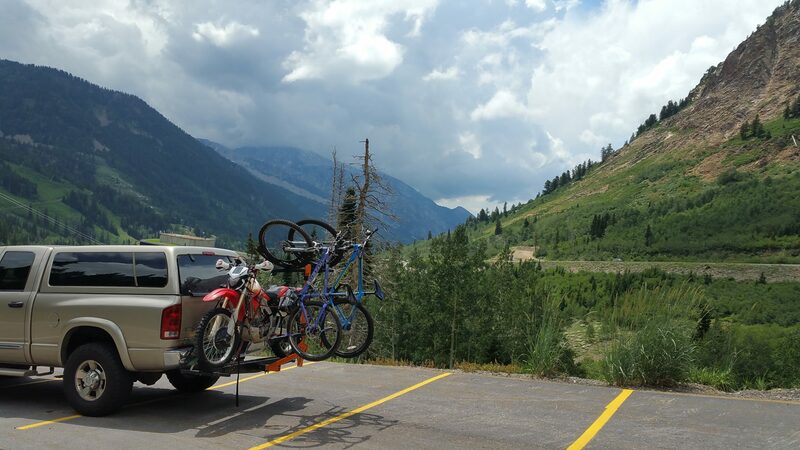 If you are mountain biking the trail is on dirt, how are you going to get to the goods without driving rough roads? We have off road designed in to our rack. We also carry road bikes too. Racks may be broken up to two categories, touch the frame or rubber tire mount. For this article Please allow the assumption the vertical racks are the way to go. I am biased. 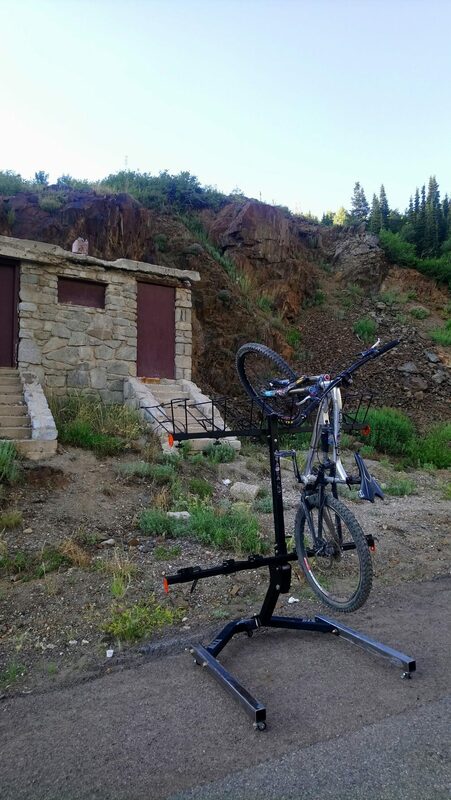 ALTA can be converted to carry other sport products such as ski and snowboards, full adjustability while in bike mode for handle bar and pedal clearance. full clearance for tail gates, van doors, SUV flip up or side doors, and Jeeps. Carry up to six bikes with no rub, no touch, and all love. Built in repair stand, a real repair stand. Garage stand so you can store your bikes in your garage on the rack and be fully mobile as well. 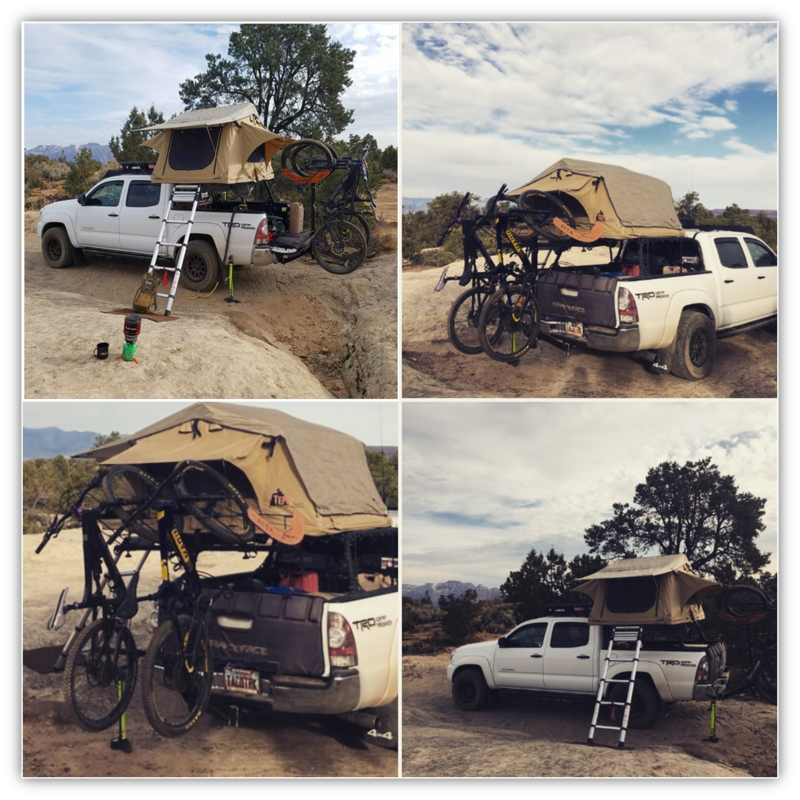 Raised angle from the hitch for off-road clearance with full off-road tie down system built in to the rack. three different basket sizes for regular, mid-fat, and Fat bike tires. All fit up to 29 plus. Life time warranty, and life time support. 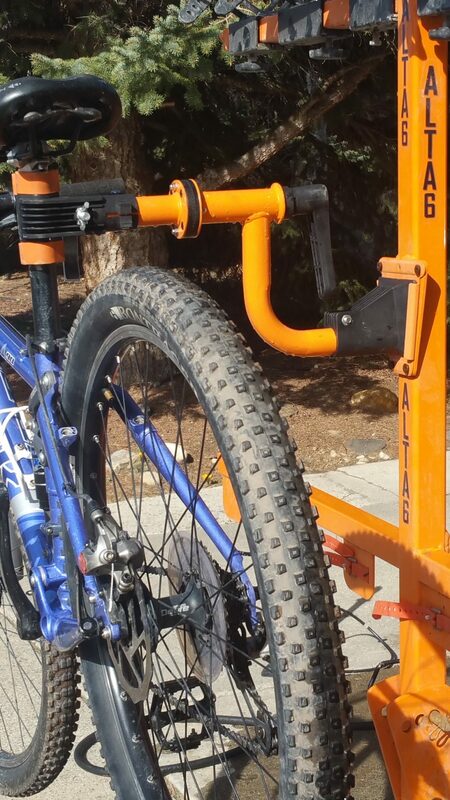 One of the biggest issues we have had with our previous racks, is the sag and wear after years of use, ALTA Racks is designed for re-tightening of pivot joint and locking interfaces, to keep the rack fresh and snug. The concept is of an Eco-system design around you, and your recreational need. Other companies build product and then spend tons of money to tell you why their way is best (its not). We build product based on user behavior and needs, small things that make big differences are the key to a good product. A good example is the lack of access to back doors with most other racks. I mean, come on. How is that OK? 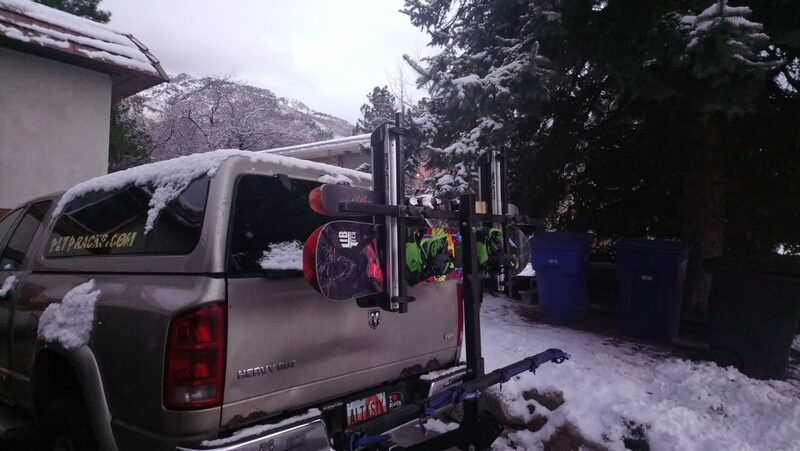 Spend over a grand on a rack and now I have to play the horizontal shuffle to open the back door. Then comes the swing out Yes, the good old swing out gets re-invented every few years and then it fails. YOU CAN NOT BEAT PHYSICS. Then comes the customization, the ability to pick your own colors, pick different systems, an basket sizes. We sometimes forget to stop and think about the operator, and the things that matter to them. Product development needs to start with the end user and then work backwards to develop meaningful requirements that create a great product. Engineering capability is a tool to develop that system, and not to restrict it. How do you build in the USA and stay competitive? We get that question from time to time. Or, you are crazy to not to take this to China. It all comes down to how hard you want to work, what is the pride of building your product in the USA Vs. maximizing your profit worth to you? It is absolutely possible to build in the USA, it takes a lot of leg work to identify the right partners that understand the vision and appreciate the strategy. We are doing it and you can too.